I thought I would share an early draft from my coming book in the HowToDoItFrugally series of books for writers titled How To Get Great Reviews Frugally and Ethically with Jo’s readers. It was launched in a special BookBaby.com promotion (http://bit.ly/bbsofrugal ) and it is expected to be read by at least 20,000 authors, which makes me practically ecstatic that I can help that many in the its first months as an e-book. It is now available as a paperback, too. § By publishing or having someone else publish a professional, well edited book. Read more on how to do that in my multi award-winning The Frugal Editor and find more books that will help you with the journey in the Index of that book. § By building—and continuing to build—a platform that is respected by others in the publishing industry. (Read more on that in The Frugal Book Promoter). § By approaching reviewers (and other gatekeepers) with whom you have built a relationship and/or those you have researched so you are confident that they will have an interest in your genre. That requires lots of reading and research so you won’t waste sending a book to someone with no clout or who isn’t actually a reviewer (more on that at in my coming book, the third in the HowToDoItFrugally Series of books for writers). 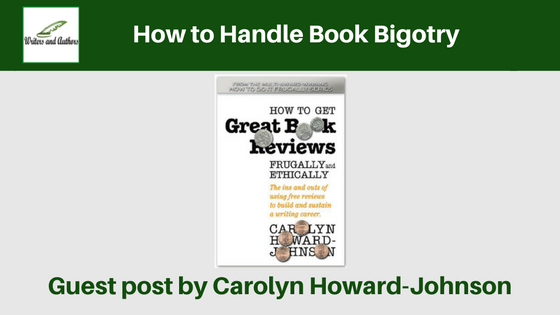 Carolyn Howard-Johnson brings her experience as a publicist, journalist, marketer, and retailer to the advice she gives in her HowToDoItFrugally series of books for writers and the many classes she taught for nearly a decade as instructor for UCLA Extension’s world-renown Writers’ Program. All her books for writers are multi award winners including both the first and second editions of The Frugal Book Promoter and her The Frugal Editor won awards from USA Book News. Other awards include Readers’ Views Literary Award, the marketing award from Next Generation Indie Books and others including the coveted Irwin award. 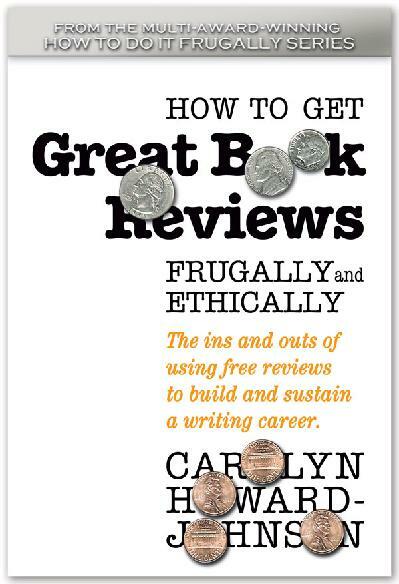 Her next book in the HowToDoItFrugally series for writers is How To Get Great Book Reviews Frugally and Ethically. I love your term, Jennifer! This is really great article and I am inspired by the writer and his work. No doubt writing a book is difficult to part I am also a good writer. I am absolutely delighted to be part of your blog, Jo! And I am excited about being part of your @promodayevent. I think I have been a part of it since it's founding several years ago and love that it helps so many authors in such a giving away! You're always there, offering a helping hand to others. Well done. Nicely put! I wish your books were in my public library. I'll suggest they order them. Not sure what you mean by setting up a book publisher.